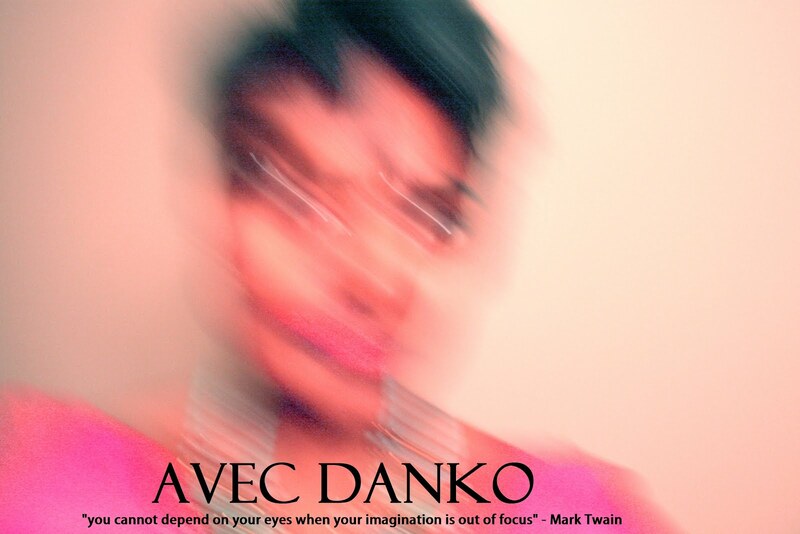 avec danko: Bigots on a Righteous Mission. The end; is there an end in sight? The Sri Lankan Conflict has penetrated into my life-time like an unwelcomed genetic trait. I didn’t ask to be born into a community, with a history of conflict. Yet, it is inseparable from an identity I am still trying to grasp. I am a child of the war generation. It is all I have ever known and, probably, all I will ever know. Yet, I hope to live to see a change; a fresh new way to understand my being, so deeply entwined with the Sri Lankan ethno-national conundrum. We do not need more ethnicity. We need less. The only problem with the ethno-national conflict in Sri Lanka is that we have too much ethno-nationalism. We have too much Buddha Lovin’ Sinhala Chauvinists. We have too much Tiger Flag wavin’, Tamil Eelam lovin’ nationalists. Too much. These individuals see life through an extreme matrix. In a world where social cohesion is achieved through ethnic exclusiveness, a purified ethno-national experience. Well, in my eyes, all of this is wrong. Contemplation on this problem has left me convinced; the problem in Sri Lanka is ethnic-exclusiveness. The UN Panel Report agrees. The national boundaries in Sri Lanka leave several minorities outside – walled off. There’s an essence of being that a ‘majority’ of Sri Lankan’s have inherited, by a gift of blood and birth; and, that’s being Sinhalese. There’s a minority that has not inherited it and, therefore, are left to be felt like outsiders. The national boundaries in Sri Lanka only accept those, who through the purity of a blood line, get to claim themselves Sinhala Buddhists (i.e. the true natives of the land). Yet, some of the Tamil community has responded to this ethnic exclusiveness, with an exclusiveness of their own. This is Tamil Nationalism. Their ethno-nationalism is no less brutal, than the Sinhala ethno-nationalism before them. It too has led them excluding the other. It has left them rounding up brothers of the North because they were, on the terms of ethnic boundaries, different. They were Muslim and, therefore, not really brothers at all. They were different and difference justified them leaving. Tamil Ethno-nationalism hasn’t helped the situation. It has only made it worst. Nevertheless, there persist self-determinists who believe that a Tamil homeland is the only answer. A recent visit to Sri Lanka proved that much. These believers of self-determination are pretty much saying, “Sinhala Chauvinists you can have the South, just give us Tamil Chauvinism in the North”. These ethno-nationalists seem to think, quite naively, that if Sinhala and Tamil people aren’t feeling excluded on the Island anymore that the problem will just end. That all the mixed bloods and Muslims won’t complain next. The sad reality is ethno-nationalism will never solve the problem. It will only aggrandize it. Thus, I come back to my initial proposition. We must re-imagine our lives beyond the confines of the ethno-national splendor. There is a greater and more inclusive Sri Lanka to be imagined, even if we haven’t imagined it, yet. And, my wish for Sri Lanka is that we dream it. We must awaken from this stupor of limited ethno-national determinism. It will never allow us as human beings, of a wonderful land, to experience our true potential; to create a community for human beings. A land made not just for the Tamil and Sinhala. But, a land that is welcoming to the woman, the under-privileged, and the excluded middle. See, the thing is, if we don’t get over our ethno-national attachments we’ll never talk about the human problems that plague our land. We will never work towards creating a home for the universal, yet distinct and fluid, human identity. To be liberated from our limited ethno-national attachments might be the closest Sri Lanka gets to a solution. We must think of the multiple possibilities of creating community and we must be more creative than the traditional ideals we have set for ourselves. Our children should grow up in lands not labeled by limited national boundaries. But, in lands that are promising to about any human being. That ensure peace, justice, liberty, and equality; yet, have no preference for the color of your skin or tongue. This is the land I imagine being the best for all, that will evolve with the time and migration of the future. That will be welcoming to the babies that might be born of the Chinese workers, sleeping with the woman that will have them, as they build highways in Sri Lanka. A land that recognizes that nothing is ever permanent. That things change with the times. That one day these pure ethnic identities will be a story of the distant past. The faster we accept this, the sooner we can save a nation from falling into the hands of bigots on a righteous mission.